Waukee residents are only months away from having one of the state’s largest cinema screens in their backyard. The 85-foot IMAX screen at The Palms Theatres and IMAX, between NE Dartmoor Drive and NE Westgate Drive near Hy-Vee, is tentatively scheduled for a partial opening on Dec. 7. Russell Vannorsdel, Vice President of Fridley Theatres, The Palms’ parent company, said the theater complex will offer something for every moviegoer. The theater complex will have 15 auditoriums, all with reserved seating. Each auditorium will feature luxury recliners with tables and cup holders. Vannorsdel said the recliners in the IMAX are part of what makes The Palms exceptional. 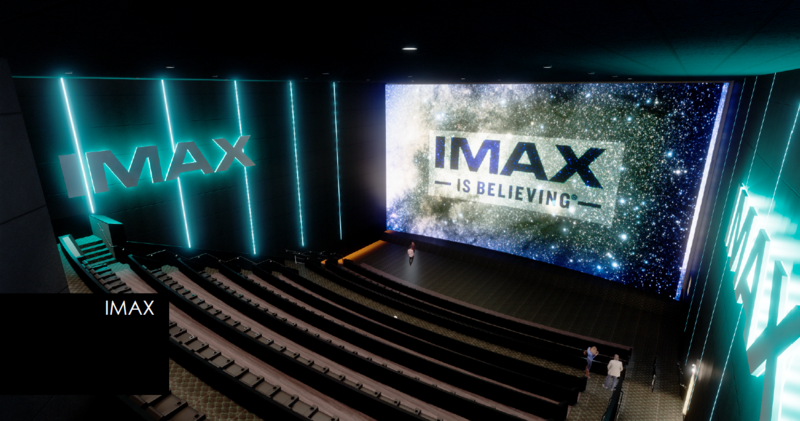 “While some exhibitors have done retrofits without approval, IMAX has never approved luxury recliner seating in an auditorium before now,” he explained. 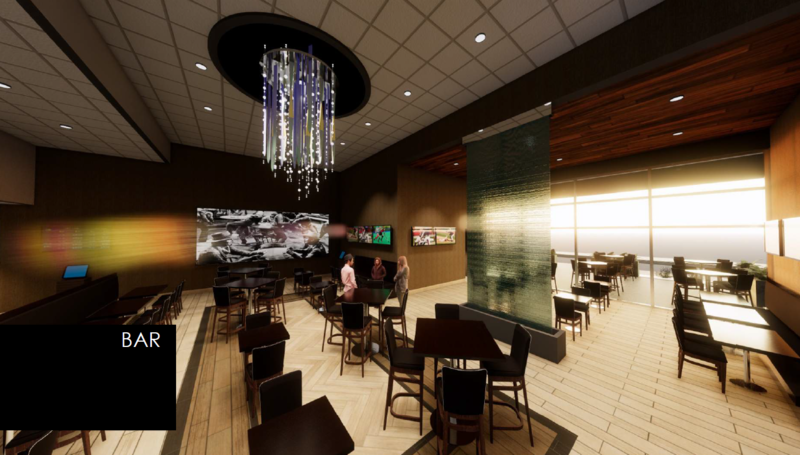 The facility will have a bar and a restaurant where customers can order their food to eat inside the restaurant or to take with them into the theater. Dine-in seating will be offered in at least eight of the auditoriums. Each will vary in size, with the IMAX having the largest capacity and the others seating about 40 people. Fridley’s, which is headquartered in downtown Des Moines, is not a newcomer to entertainment venues. Owner Bob Fridley has been in the movie industry since the 1930s. He turned 101 this past March. With the opening of The Palms, Fridley Theaters will have 21 complexes across Iowa and Nebraska, and a total of 101 movie screens. During the research phase before building The Palms, Vannorsdel and Brian Fridley, President of Fridley Theaters, toured movie theaters across the country— including the historic Grauman’s Chinese Theater in Hollywood—to research what worked and what did not. “We took things we already knew and things we learned from other exhibitors around the world and brought them all together for The Palms,” said Vannorsdel. In addition to the six-story tall, premium large-format screen, the IMAX theater boasts a Laser GT system with dual laser projectors. Vannorsdel said they’re planning to have a staff of about 100 people— a mix of part-time and full-time—with 50 for theater operations and 50 for in-seat food, beverage and kitchen staff. Hiring has already begun with a general manager, operations manager and a chef for the restaurant. According to Vannorsdel, when choosing a location for The Palms, he and Brian Fridley considered both Ankeny and Waukee because of their size and growth over the past few years. 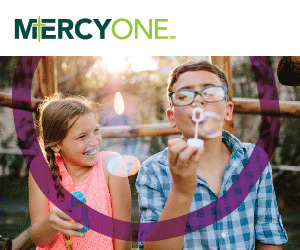 They settled on Waukee because the area doesn’t yet have a theater, and because of its easy access to the interstate via Grand Prairie Parkway. The Palms is getting involved in the community, as well. They’re currently discussing a project with the APEX Program and Waukee School District to provide educational seminars, content and classes in the future. However, with the Science Center’s long history of educational programming, Vannorsdel said they’ll primarily stick to Hollywood movies. “We hope the Science Center is able to reopen its IMAX, because they do such a great job bringing in that type of content,” he said. The Palms also may be used to show big televised events, like the Super Bowl. “We intend on having the ability to broadcast live television with food and drinks available,” explained Vannorsdel. He added that the IMAX will change movies about every two weeks, with hopes of showcasing “Mortal Engines” in time for the partial opening and “Aquaman” just before Christmas. While he wouldn’t disclose the total cost to build The Palms, Vannorsdel said that the general contractor’s expense, which excludes all furniture, movie screens, and equipment, was around $16 million. For more information on The Palms Theaters and IMAX, or to apply for a position, please visit fridleytheatres.com and use the locations tab to find the Waukee location.